Mount Juliet opened in 1991, and it has been at the top of the pile ever since. It is a five star hotel and resort with every trimming you could ask for, including, most obviously, the Jack Nicklaus designed golf course. I was recently invited to play in the PGA media day to help promote the upcoming PGA Irish Championship event in October (11th to the 14th). It lashed rain that day. The skies opened on the way to the 1st tee and didn’t stop until the 15th. It was brutal, but on a course this good you persevere! For the Inside The Ropes visit, on Sunday September 16th, the weather forecast wasn’t looking much better. As it turned out, the weather forecasters were wrong. Unfortunately, Stephen, one of our group, was as misinformed as the rest of us and appeared in full waterproof gear and had to spend the entire rainless round in it. 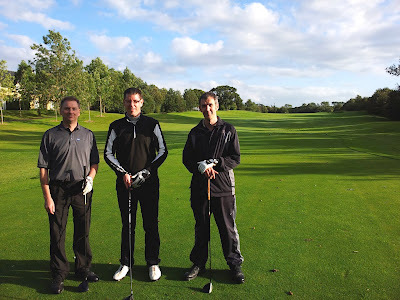 We even finished in sunshine so, as golfers, let's bow our heads and acknowledge his lengthy discomfort. Gotta love that Irish weather… and Met Eireann. 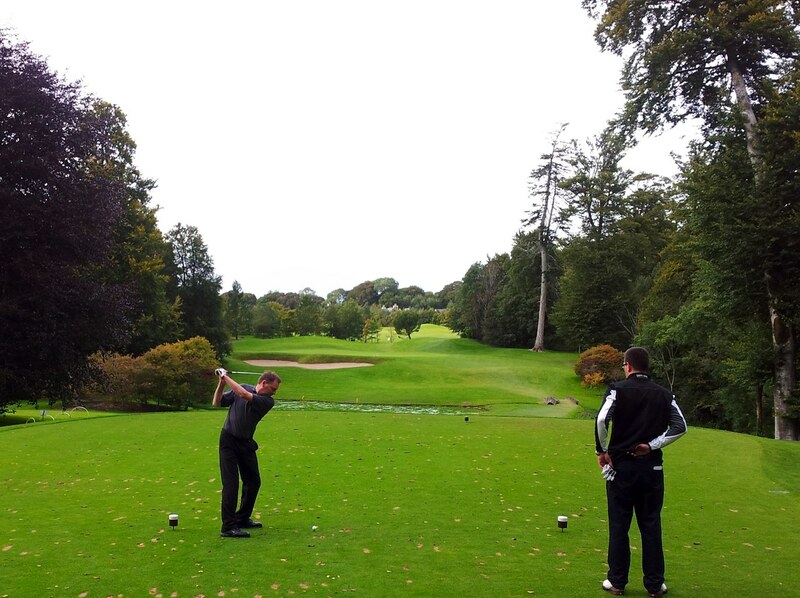 On the tee were Ciaran (18 handicap), Ivan (11) and Stephen (24) – the latter two coming up from Cork. We mixed up which tees we played from, playing from green or white depending on the hole, so the overall distance of the course is somewhat unquantifiable – ranging between 6554 yards and 6926 yards. A full set of Mount Juliet photos are here. Stephen: Excellent, great facilities and chipping green is brilliant. Ivan: Excellent. Condition of course is superb, although greens were slowish. 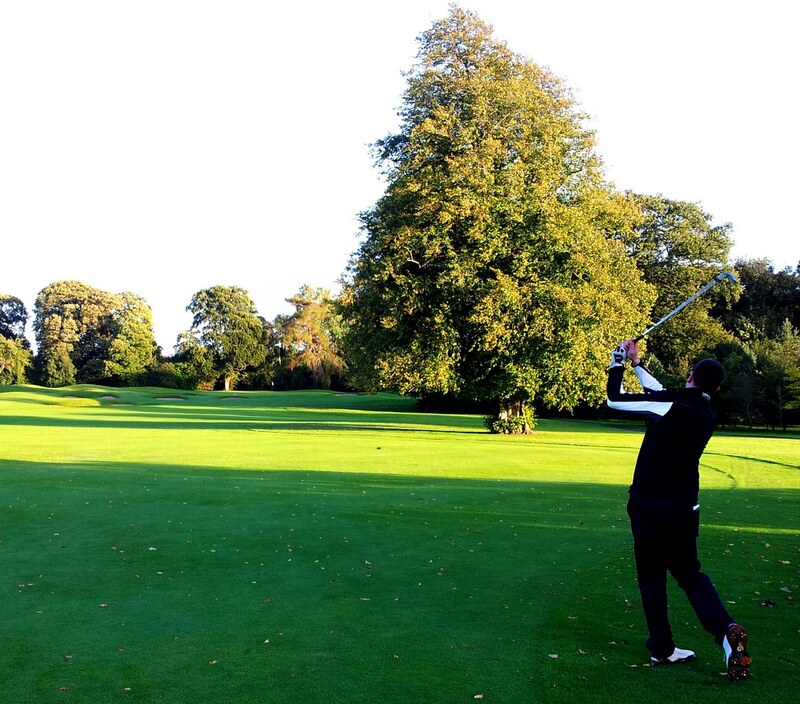 Ciaran: Immaculate condition, some easy fairways, tricky greens. Mostly open, inviting a big drive. Stephen: Distance markers – some even on the cart path. Ivan: Best features are the condition of fairways and tee boxes. Numerous bunkers throughout are also a big feature. Ciaran: Practice facilities. Natural feeling to a flat course with mature trees. Always dry underfoot. Stephen: Didn’t get a lot of balls from the driving range for €5. A lot of divots were not replaced. Ivan: My sandwich was expensive: sandwich and Lucozade = €10.50. Ciaran: Slight lack of on-course signage. Q. How easy/difficult did you find the course? Stephen: Found the course within my capabilities, but overall the lenght of the course was my undoing. The amount of bunkers also caught me out, the amount of them, their locations and the pin positions were outside my normal golfing challenges. Overall a difficult course but not put off in any way. Ivan: Found it pretty difficult, but it doesn’t help hitting everything left! Even if I wasn’t it still would have been difficult. Numerous bunkers throughout, and playing off the whites made the course long. 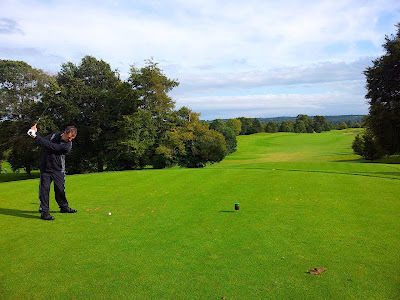 Ciaran: Relatively easy, mostly due to open fairways. But not easy to score well. Interesting disparity here between Ivan and Ciaran – probably explained by Ivan’s wayward driving. Nicklaus courses favour generous landing areas and then follow these with heavily protected greens. Stephen: 4th. Lovely, tight fairway and well guarded green. Ivan: 17 and 18 are great finishing holes. The Index 1 13th is also an excellent hole. Ciaran: 3 and then 4, where placement off the tee was critical. Every course talks about their signature hole/s. At Mount Juliet I’d pick out 3 and 4 on the front nine, and 11 and 13 on the back. As Ivan points out, holes 17 and 18 are also superb… and 17 is becoming my favourite hole on the course, with the sentry like trees on either side of the fairway giving great character as well as presenting challenges. I also have become very fond of the Index 1 13th... although it helps when you blade an 8 iron to two feet for a tap-in birdie! Q. What had you heard about Mount Juliet before you got here? 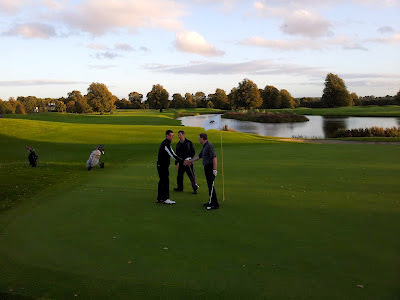 Stephen: One of the best courses in Ireland. Ivan: Had heard it was difficult and in great condition all the time. Ciaran: Experience and good quality. Q. Did it live up to your expectations? Why? Stephen: Absolutely. I like that on any hole you cannot see another hole. Ivan: Yes it did. Course condition was immaculate. 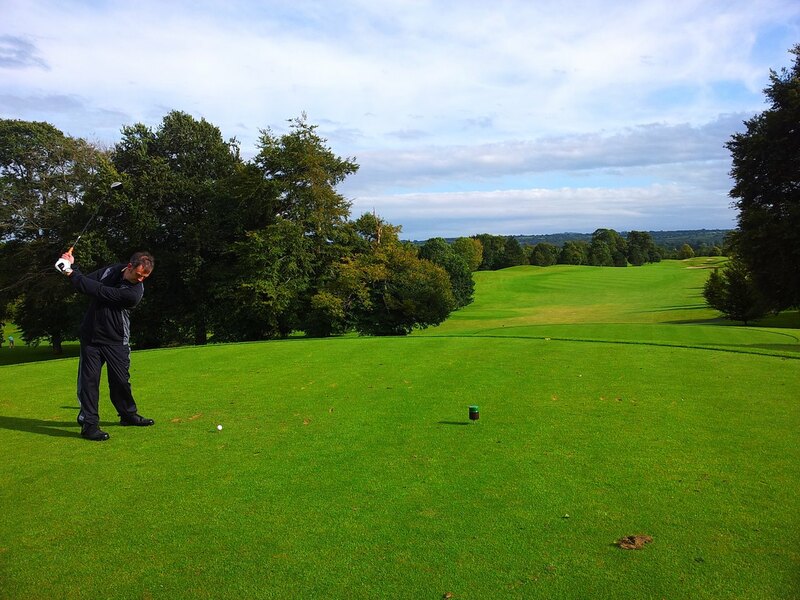 The course has acres of space to stretch itself out – Mount Juliet itself is set on a 1,500 acre estate and includes a stud, so such an elegant golf course is not surprising. Q. What are the best parkland courses you’ve played in Ireland? Ivan: Castlemartyr or Adare. Oh, and Killeen (Killarney). I love Killeen. Ciaran: Slieve Russell, Headfort (Old and New), Druid’s Glen. Q. How did Mount Juliet compare? Stephen: Mount Juliet is better. 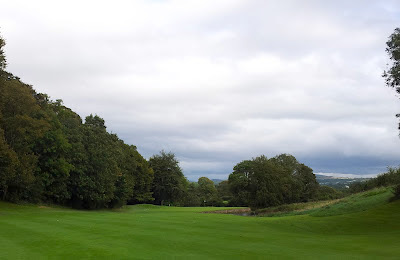 Ivan: Mount Juliet is better value than Adare, but Adare would have some better features. 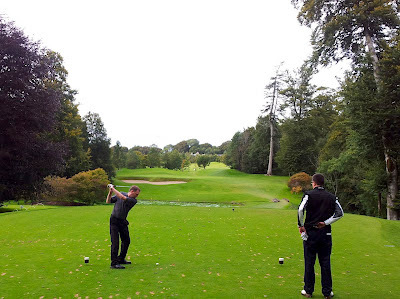 Castlemartyr would offer better value than Mount Juliet, but Mount Juliet would be more difficult. 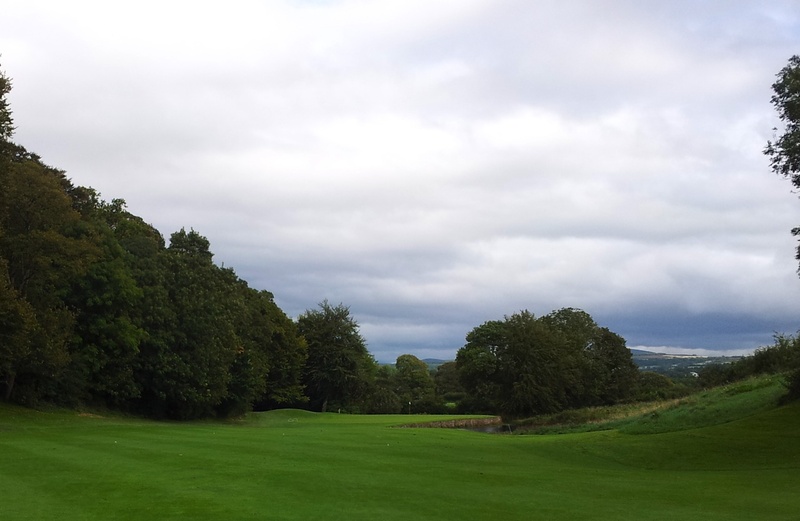 Ciaran: The best of any course: more open fairways but short game where it counts. Ivan: Facilities are excellent and the staff are very friendly. Ciaran: Nothing artificial – even the lack of signage (as mentioned above) is almost a positive. Ivan: 6… no round of golf should cost more than €50. 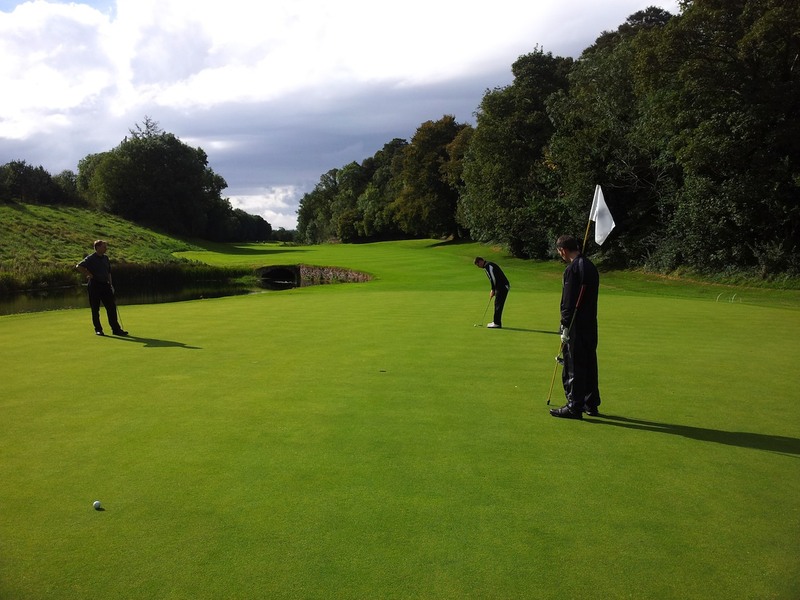 Ciaran: 6… there are other interesting courses for less. The old ‘value for money’ continues to prove a vexing issue for plenty of golfers. Balancing course quality and golf experience with green fee value remains a challenge in ‘the current climate’ (a term that, after four years, is practically a cliché) – especially for the top-tier courses like Mount Juliet. Such challenges will undoubtedly remain so for a few years yet. 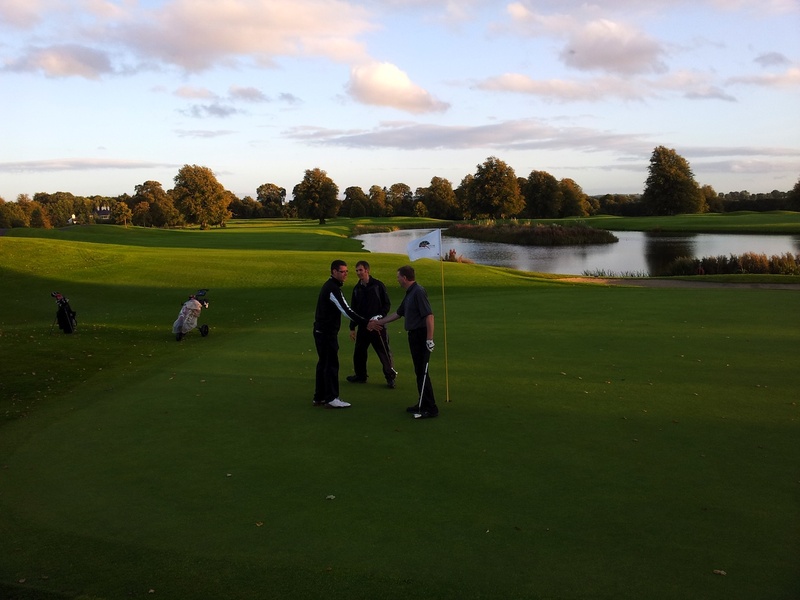 There are always ways to get added value for money at the big courses, and Mount Juliet has a Winter and Summer Series as well as numerous other events (including several already included on this blog), so visit www.mountjuliet.ie for the latest details.